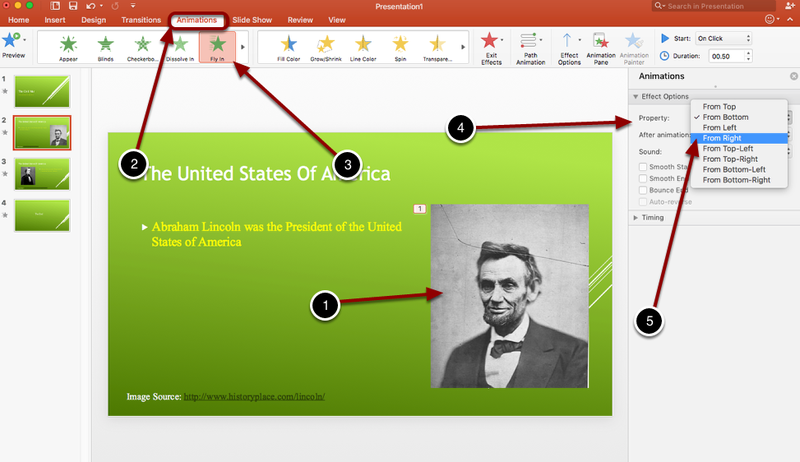 Below are instructions on how to add an animation effect in Powerpoint. 1. Click on the image. 2. Select the Animations tab. 3. Select the Fly In option. 4. An Animations box will appear. 5. Next to where it says Property, select From Right. 1. Select From Left option. Next: How Do I Add Animation To A Shape?